As America’s foremost cantankerous wordsmith, Aaron Sorkin can get a pretty good zinger off from time to time. So when Apple CEO Tim Cook derided the upcoming Sorkin-penned biopic Steve Jobs as “opportunistic” on a recent episode of The Late Show With Stephen Colbert, Sorkin was quick to fire back. 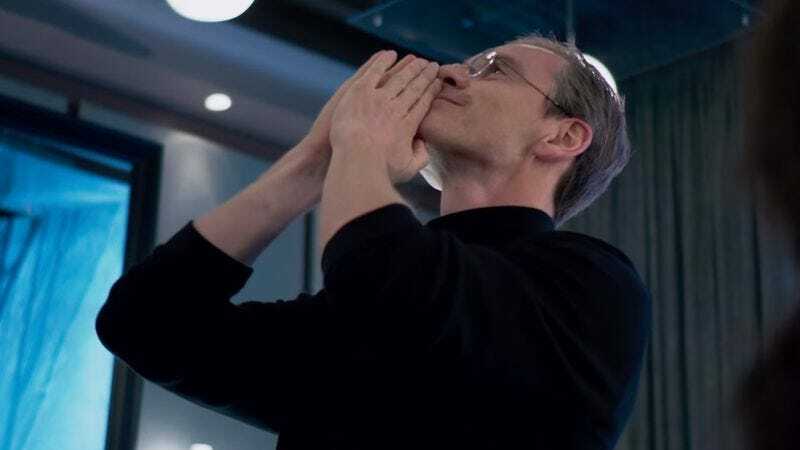 Talking to The Hollywood Reporter, the director and screenwriter launched a multi-pronged verbal assault on Cook, starting with the accusations that Steve Jobs is somehow a money-making endeavor for him and director Danny Boyle. “Nobody did this movie to get rich,” Sorkin declared, before adding—hopefully while performing a quick-paced walk toward a constantly retreating camera—that, “Tim Cook should really see the movie before he decides what it is.” Having set Cook up with a few light verbal jabs, Sorkin then went in for the killing blow, accusing Apple of exploiting child labor for its products: “Third, if you’ve got a factory full of children in China assembling phones for 17 cents an hour, you’ve got a lot of nerve calling someone else opportunistic.” Sorkin is presumably alluding to periodic reports over the years that child workers have been found in factories producing Apple products overseas. Anyway, it’s a pity that Burn Notice isn’t on the air anymore, because Aaron Sorkin could apparently have set them up with some pretty killer scripts.